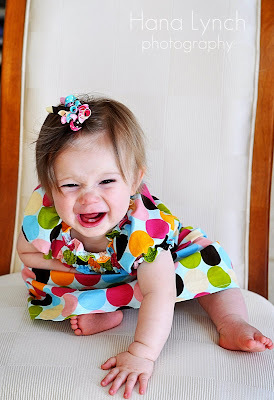 the MomTog diaries: SMILE- It's Contagious! I captured this shot of Ella friday afternoon and just had to share! I just love her expression! It makes me smile! Hope it makes you all smile too! Love the dress. Did you make it? Don't you just love that smile! :)She is so adorable! Oh this may be one of my favorite pictures ever! I LOVE IT!